Thanks, Don, for allowing us to do a small part in the rebuilding effort. I know that many people at CBC are checking their calendars to see when they can go back. I think that most people, even from MS, are shocked at how much there is still to do on the Gulf Coast. As for the Children Desiring God curriculum, I absolutely love it. It is a great tool for teaching children the Gospel. It is very versatile as well. 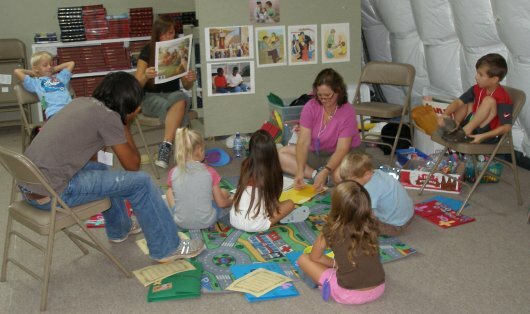 We used the same curriculum at a children’s camp that was very small compared to most VBS’s. I would highly recommend it to any church that wants a curriculum that is clear and simple. It is not as glossy as others made by Group or Lifeway, and there is some prep time that will have to be done. 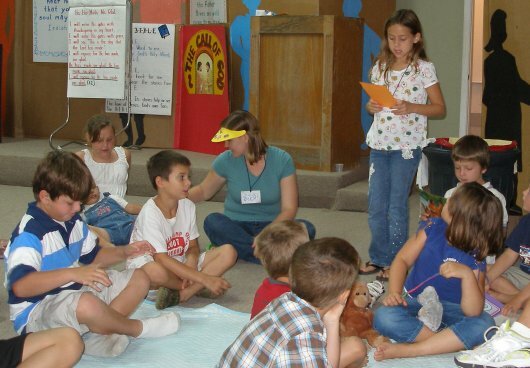 However, when we used it at Lakeshore, where some children already had a clear understanding of the Gospel and some may have heard the Good News for the first time, we were able to be versatile enough to interact with both sides of the spectrum. Well worth using on your next VBS or Backyard Bible Club. Thanks again for allowing us the opportunity. I am just putting together a slide show to advertise our forthcoming VBS and I have pulled a couple of photos off of your site which I might use. I hope that’s OK.